It's not less work and, no, it's still not an "autonomous car." 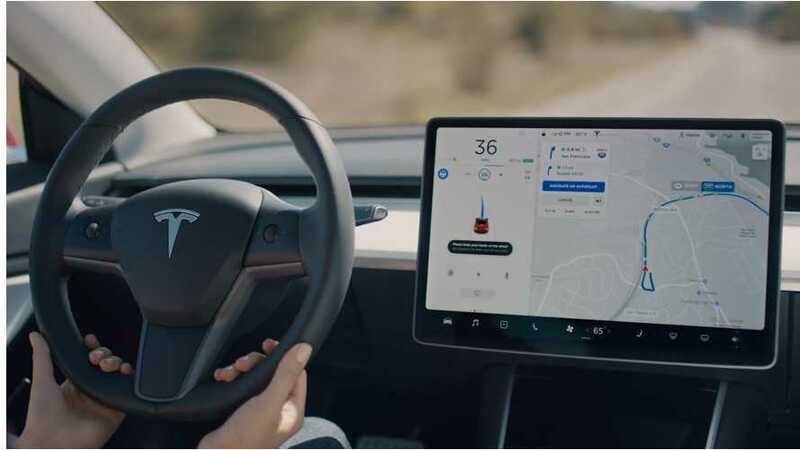 Continuing its Autopilot push despite continued scrutiny over the automaker's driver assistance technology, Tesla says it's made it even simpler for its cars to change lanes while drivers are using the system. Tesla announced Wednesday an update to Navigate on Autopilot that it says is, "a more seamless active guidance experience." There are a few changes that the company says makes Autopilot easier to engage once it knows where the driver wants to go. To that end, Autopilot now offers a setting that lets drivers decide whether they want to tap the turn signal stalk to initiate a lane change. If they opt out of that confirmation, Tesla says the vehicle will perform lane changes automatically. Alternatively, drivers can also choose an audible warning of an upcoming lane change in addition to a visual alert. Tesla says cars made after August 2017 can also be enabled to make the steering wheel vibrate as another alert alternative. Drivers can also now pick a setting that enables the system after a destination is set, rather than turning it on once they're already on the highway. All of these changes have already started being sent to U.S. vehicles equipped with Enhanced Autopilot or Full Self-Driving Capability, Tesla said, and the automaker will extend the features to other markets once regulators give the OK.